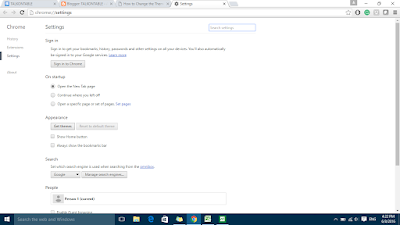 Google Chrome Web Browser is a Modern Browser with regular Updates. 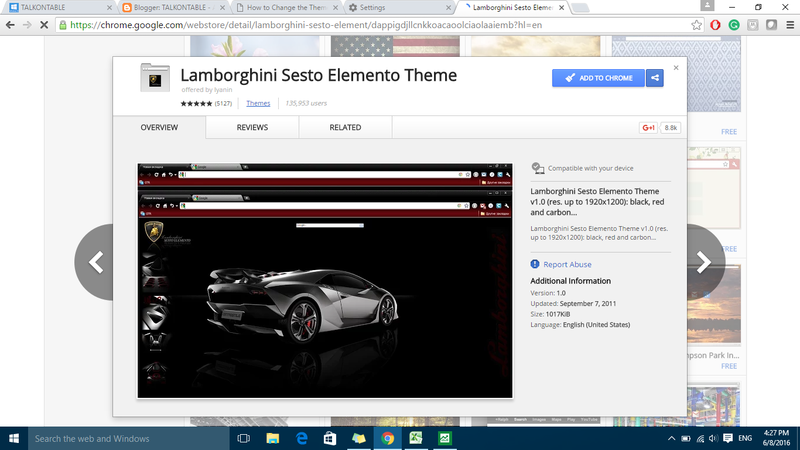 You can change its theme from Google Chrome Web Store. Step 1. 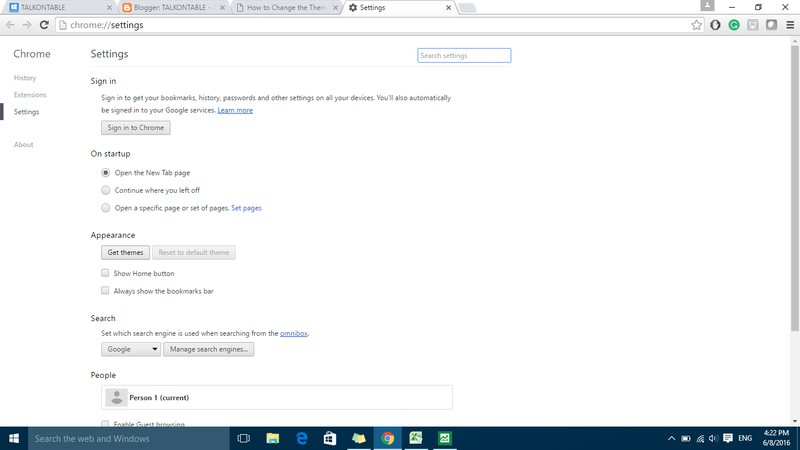 Go to "Customize and control google chrome" settings, which is in top right corner of your browser. Click on it. Step 2. In settings third option Appearance, select Get themes. Step 3. 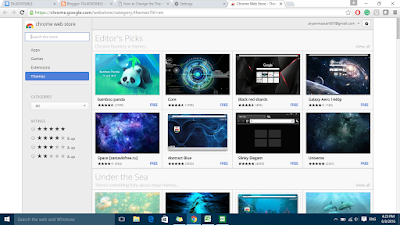 Chrome web store will open. Step 4. 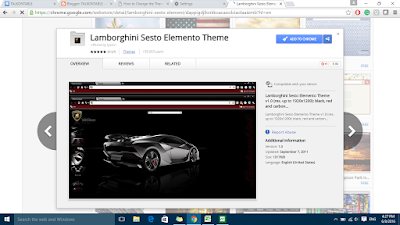 There you will find Thousands of theme for your web browser. Select and double left click on your theme, then software will check compatibility of your system and will download to install your theme. It will be replacing your default theme. You might like How to change current StartMenu with Windows 7 Style in Windows 10.